Hello, friends! 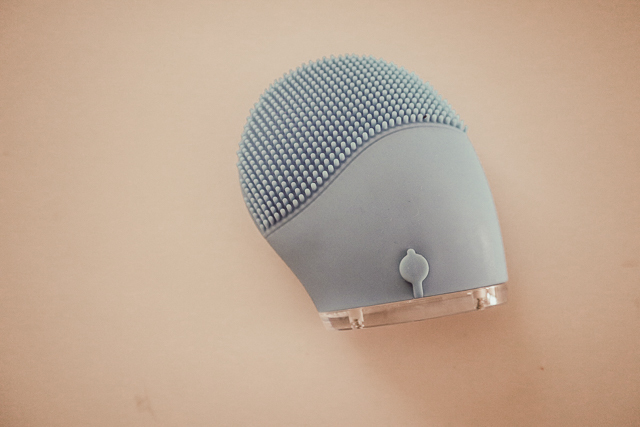 Back with a skincare review and this time, a cleansing device that I’ve been testing out for the past month. 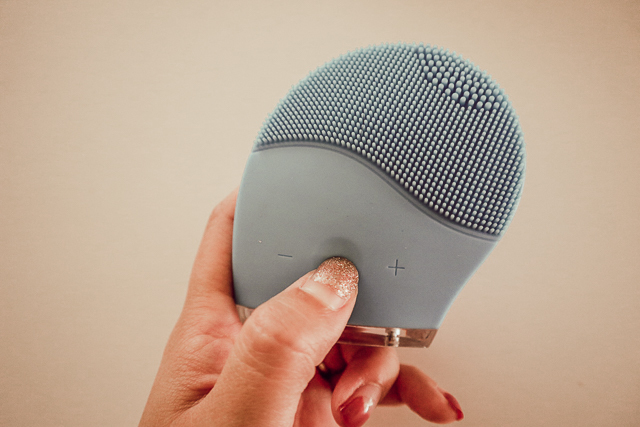 Below is Holistic Beauties‘ most popular product- the BFF Facial Cleansing Brush, which stands for Best Face Friend. It definitely lived up to the name because I’ve had it next to my sink the entire month of July. 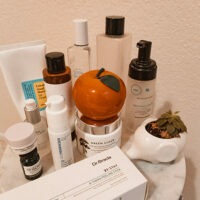 I’ve used it day and night, and I’m excited to share the features and benefits I discovered while using this cleansing device. I’m also giving away a BFF, so please read until the end of the post! Comes in two colors – blue or pink. Obviously, I have the blue one! 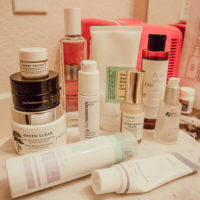 Even if I do the double-cleanse method which involves using an oil cleanser and a foam cleanser, I still don’t have a clear white cotton pad when I wipe my face with a toner afterwards. Imagine doing all that work and you’re still not getting EVERYTHING off of your face. This is another reason why I don’t wear too much makeup in the first place! It grosses me out to think about how the makeup can literally stay on my face for the longest time. I think this is when a cleansing device like the BFF comes in really handy. 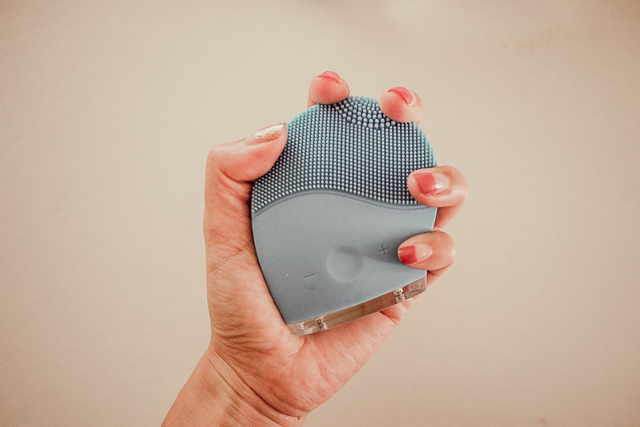 Not only does it help with cleansing effectively by gently exfoliating with the tiny bristles, but the high frequency vibrations really help with the clogged pores. I like to use it both with the oil cleanser and the foam cleanser. By the way, I use it for about 2-3 minutes! Opening up the pores is especially important during the summer when they are clogged from sweat + makeup. The high frequency vibrations also claim to increase blood flow and collagen production so the skin will heal faster. Whether you decided to use a low pulse or a high pulse, you’re still massaging your face muscles which helps tremendously with age prevention. TIP: I also use the BFF in the mornings with a cooling gel if I wake up with a swollen face. I’ve definitely seen it make huge a difference in the mornings! One thing I wish the BFF had would be a travel-friendly case that I can keep it in, but that’s probably the only thing I can think of! Do you own a cleansing device or have you ever tried one? If not, here’s how you can win one easily! 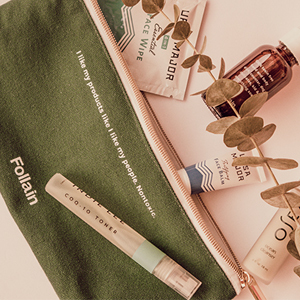 I’ve partnered up with Holistic Beauties to give away one BFF to a lucky winner who follows me on Instagram. The giveaway will run from Thursday, August 9 until Monday, August 13 and is open to U.S. residents only. 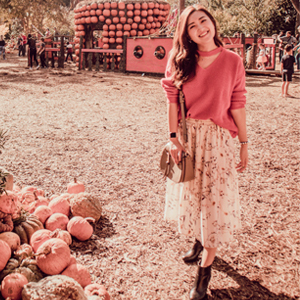 I will notify the winner in my Instagram stories, so follow me to enter and let’s stay connected! The winner will also be notified via email to set up their free express shipping for the BFF. If you do not win, you will still be notified with a special offer, so don’t worry 🙂 Good luck, and thank you for reading!